The FBI has reportedly joined the criminal investigation in a federal grand jury probe regarding the certification process for Boeing’s 737 Max 8 jets, after two deadly crashes in the last few months killed 346 people, according to a new report by The Seattle Times. 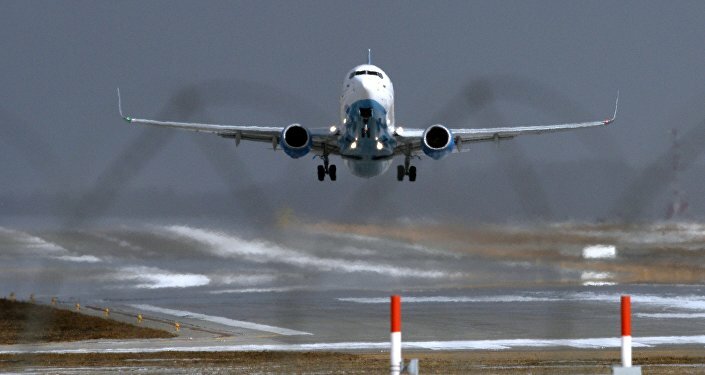 The report comes days after an investigative piece by the outlet claimed that the plane's faulty flight control system, believed to be involved in both crashes, is the result of US Federal Aviation Administration (FAA) managers "pushing the agency's safety engineers to delegate safety assessments to Boeing itself, and to speedily approve the resulting analysis." Anonymous current and former engineers familiar with the safety analysis Boeing submitted to the FAA regarding its new flight control system reportedly told The Seattle Times that the analysis "understated the power of the new flight control system." In addition, the Maneuvering Characteristics Augmentation System (MCAS), designed to tilt the aircraft's nose to prevent it from stalling, was able to move the plane's tail "more than four times farther than was stated in the initial safety analysis document." Furthermore, the analysis did not take into account how the system reset itself "each time a pilot responded" to the anti-stall software, which could cause it to repeatedly pitch the craft's nose down. On Wednesday, the FAA announced that Boeing is working on a service bulletin with instructions for airlines on how to install new flight control computer operational program software in the Boeing 737 Max 8, Reuters reported. "Boeing is developing a service bulletin that would specify the installation of new flight control computer operational program software. Boeing has also developed flight crew training related to this software. The FAA's ongoing review of this software installation and training is an agency priority, as will be the roll-out of any software, training, or other measures to operators of the 737 Max," the FAA said in a statement Wednesday. The news comes after the US Department of Transportation (DoT) requested an audit of how the FAA and Boeing certified the 737 Max 8. In a memo released this week, Transportation Secretary Elaine Chao requested that DoT's Inspector General Calvin Scovel conduct "an objective and detailed factual history of the activities that resulted in the certification of the Boeing 737-MAX 8 aircraft," according to multiple reports. Another, separate investigation is already underway by Scovel and the US Department of Justice's Criminal Division. AP, citing a person familiar with the matter, said a federal jury in Washington, DC, has already issued a subpoena to an individual "involved in the plane's development seeking emails, messages and other communications." On March 10, a Boeing 737 Max 8 plane operated by Ethiopian Airlines crashed soon after taking off from Addis Ababa, Ethiopia, at around 8:30 a.m., killing all 157 people on board. According to Ethiopian Airlines, contact with the plane was lost at 8:44 a.m., just a few minutes after it took off. In October 2018, a Lion Air-operated 737 Max 8 crashed into the sea just minutes after taking off from the Indonesian capital of Jakarta. All 189 passengers onboard were killed. The black box retrieved after the crash revealed that the plane's sensors had been displaying incorrect speed and altitude readings. Days after the the Ethiopian Airlines crash, a number of countries including China, India, Egypt, Vietnam and EU states began blocking the Boeing 737 Max 8 from their airspace. Last week, after many criticized the FAA for their initial refusal to ground the jets in question, US President Donald Trump also announced that he would ground the planes until Boeing arrived at a solution to the safety issues.